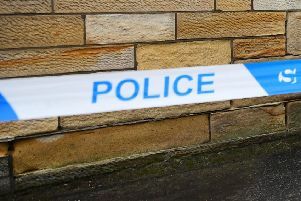 A Cumbernauld man was beaten up in an unprovoked attacked after leaving The Royal British Legion in South Muirhead Road on Sunday evening. At about 7.45pm Andrew McNeilly was making his way home through the wooded area behind the Legion when he was approached by two men. The 46-year-old was hit on the head and fell to the ground where he was then kicked in the stomach – his assailants then ran off laughing. Andrew, who is recovering from cancer, suffered scrapes to his head and a bruised hernia and was in hospital overnight for treatment. His attackers are both described as white males aged 15-25, around 5’10” tall, of medium build, with dark hair and wearing dark jackets and jeans. They spoke with a local accent. CCTV and local enquiry is ongoing, but police are keen to speak with anyone who would have been in the area at the time and who happened to see any persons in the area. 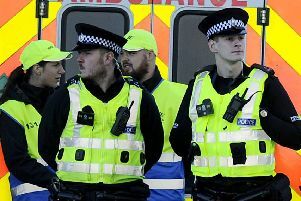 Anyone with any information should call Cumbernauld police office on 101 quoting crime reference NC01231118.